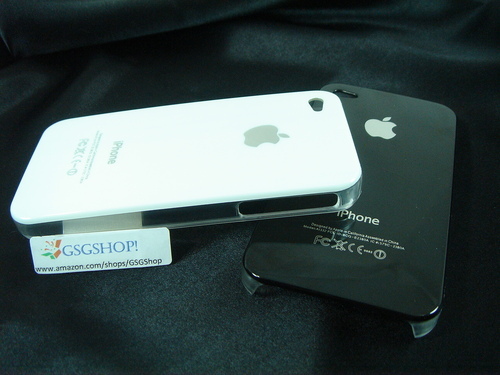 Discussion in 'iPhone Accessories' started by iPhoneApple, Nov 4, 2011. What is the best iPhone case that makes the phone look nice and will protect it from drops, but isn't bulky and won't scratch up or pick up a boatload of lint? So far the best option looks like the Speck Candyshell, but the reviews of it are very mixed. Incipio NGP or Incase Hybrid Cover. if you browse this sub-forum you'll see lots of recommendations and there is no consensus on any because its all subjective to how you like things. That said, I like to semi protect my iphone, but yet retain its natural beauty as much as possible. I've ordered these two case to test and waiting of their arrival. Which is a air jacket type snap on case but the back side is a replica of the iphone. Makes it looks like a naked iphone but with a case on. I ordered a couple of those (replica cases) from Ebay when I had my iPhone 4. They felt cheap and creaked like crazy. Hope you have better luck with yours. how is the incase hybrid cover? SGP linear case is probably the sleekest case. It'll survive a drop but the case will fall apart. I've dropped my iPhone a couple of times but it's still in perfect condition. The case took all the impact. Favorite cases are all a matter of personal preference. However, the Speck Candyshell is bulky and scratches extremely easy. Mine literally was scratched before it got out of the ATT store by the sales rep putting it on the phone and lying it on the counter. I just gave it away yesterday. I paid full price for it at $34.95 and for that price, the material should be more scratch resistant. If you are looking for the best drop protection, then the otter box line is for you. Case Crown Glider are my favorites. Both are relatively thin and will provide some fall protection but but not heavy duty. Both come in a variety of colors, have great quality builds and are reasonably priced. Neither is scratched up with regular use. The Sonix has a matte soft touch finish and the Glider has a super gloss shiny finish. I've have a couple of small drops with the Sonix with no damage to the phone or case. Since the candy shell scratches easily, should I just get a full body screen protector and a bumper or will that not protect the phone enough? I like my xshot case, very sturdy and has detachable tripod mount clips, you can mount it horizontal and vertical. Slightly bulky but not too bad. I like mine quite bit. It's more nicely finished than the Incipio NGP. The bottom shiny part does get scratchy, and is stiffer than the rest of the case. This caused my screen protector to bubble up a bit, but I smoothed out the bubbles. For the firs two, is the plastic slippery? I have both Otterbox Commuter and NGP... pretty much the same..